Get to know our featured Heroes. 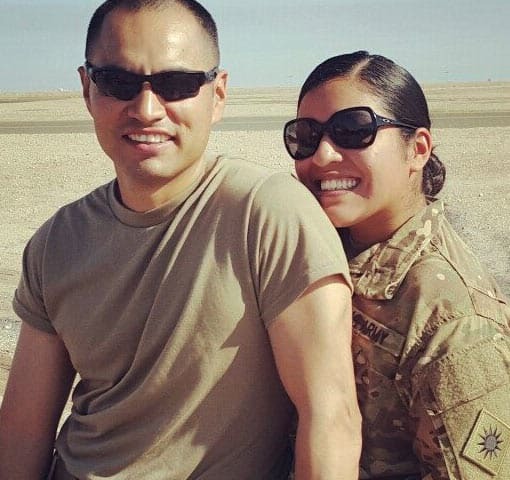 Aguilar has served in the National Guard for 13 years. Her husband, and now caregiver, also serves in the National Guard. She became ill while serving overseas two years ago. Currently, she is receiving treatment at Walter Reed with her husband and two children by her side. The Second Purple Heart I earned was six days later on the 11th of October 2004. On our way back from a mission a car bomb went off between our platoons two Strykers. 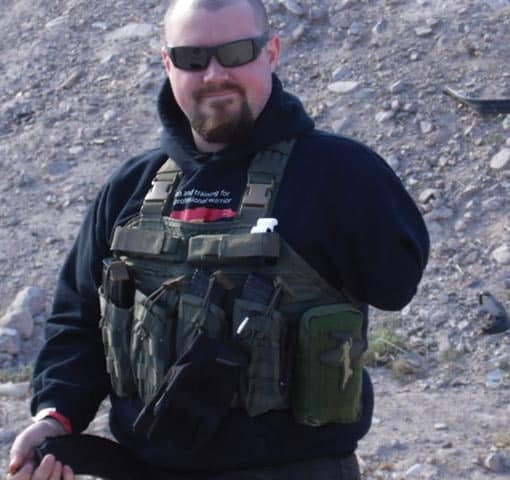 At the time I didn’t realizes that I had lost my left arm, I thought it was just broken. I was somewhat blinded from all of the blood that was pouring down the left side of my head and face. After trying to reload my friends down in the Stryker saw what had happened to me, seeing blood pouring down the left side of my body, they pulled me down inside the vehicle to give me first aid and stop the bleeding while returning to base. CPL Laursen (RET), served in the United States Army with the 10th Mountain Division, 2nd Battalion, 14th Infantry Regiment and is the Standing Goalie for the USA Warriors Ice Hockey Team. With the 10th Mountain Division Laursen deployed in support of Operation Iraqi Freedom and Operation New Dawn between 2009 and 2010. 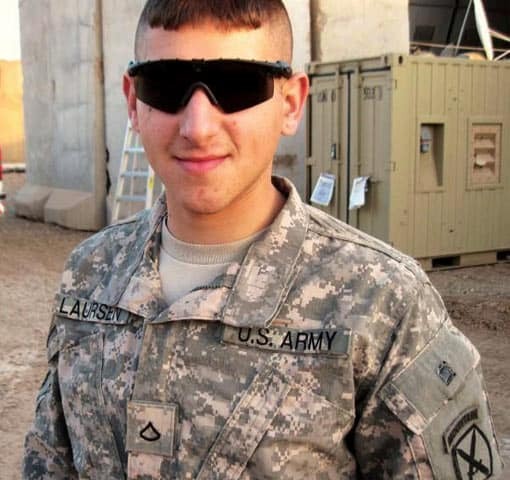 In 2013, Laursen deployed to Afghanistan in support of Operation Enduring Freedom. In 2013, Laursen was assigned to the Warrior Transition Battalion at Fort Belvoir. He was retired from the United States Army in March 2014 and currently works as a civilian at the United States Army Research, Development and Engineering Command at Aberdeen Proving Ground, MD. Gould enlisted in the Army in 2001. In May of 2016 he was injured during a mission in Romania. Since then, his wife of 11 years has supported him by being his caregiver. 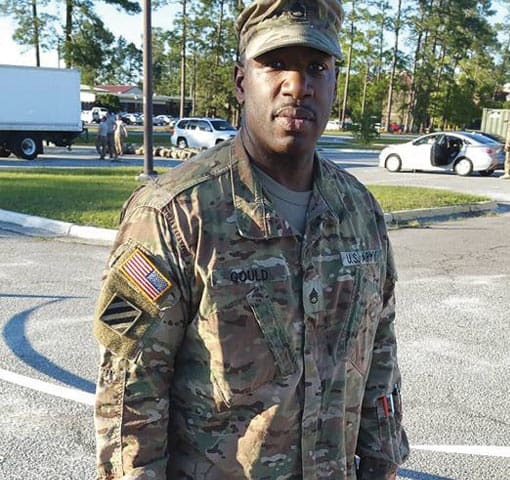 He is currently receiving treatment at Walter Reed Medical Center and looks forward to starting school and raising their children for the years to come.